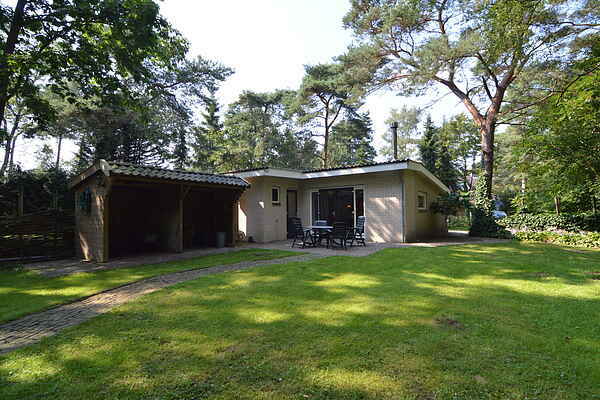 This lovely detached house is located in a tranquil holiday park in Zelhem. There is a large living room at your disposal with a kitchen and a cosy woodstove. There are two bedrooms and a great modern bathroom. But the very generously sized garden is the real key to an enjoyable stay. You can walk straight into the forest from the holiday park. The park offers a playground for the kids, with various play structures, and a boules court for the adults. There is even a tennis court in the park which you are free to use. Zelhem is known as the green heart of the Achterhoek region and is a great place to enjoy some serenity and open spaces. It is the ideal area for hiking and biking. Zelhem belongs to the municipality of Bronkhorst, which is known as the smallest town in the Netherlands and contains many converted farmhouses that now serve as galleries, shops or restaurants. The Hanseatic cities of Doesburg, Zutphen and Deventer are fairly close by as well. The house is heated by a wood burning stove and electric heating in the living room. There is no heating in the bedrooms.